February has been a Facebook focused month for us in the KRose Marketing & Consulting community. We started out with a blog post on Our Favorite Facebook Business Page Tools & Tricks. Our digital marketing expert Jamie Hawley runs down the basics of how to schedule or draft a post, edit photos on Facebook, find out where likes come from, know when fans are online and know which posts work for you and your followers. In our most-viewed blog 5 Steps to Cultivating Community we addressed everyone’s frustrations with the new Facebook algorithm changes. The biggest takeaway: you must cultivate a community on your business page and group in order to stay relevant. 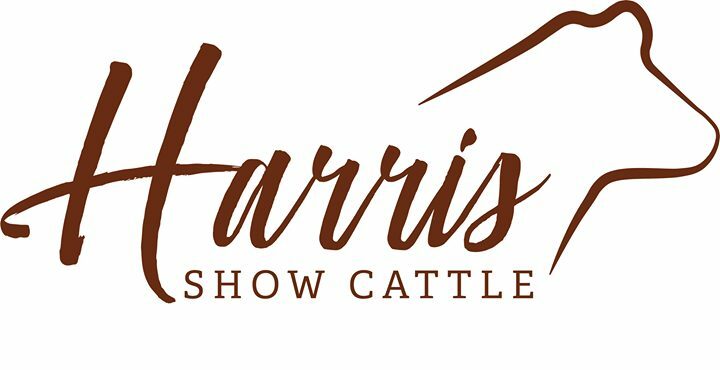 We created this logo and an image of their brand for Harris Show Cattle, LLC. They put a lot of love and hard work into each of their calves and they spend many hours in the barn with each of them after weaning. They are so great! We loved helping them create a logo! Thanks for the kind words Kacey! We loved working with you, too. Next on the blog we tackled 5 Reasons Why you Need a Facebook Page. You can build and foster a community where people can connect, establish and maintain close relationships. You can learn more about your target audience through direct feedback and interaction with your audience. You can learn from them by observing how they interact with you and listening to what they have to say. You can show your company’s humanity. People buy from people, not products. Customers will purchase from you when they can know, like and trust you. On your Facebook page you have the opportunity to share your authenticity, including your struggles. Your competition already has a Facebook page. Of course we don’t want you to get too caught up in what other people are doing. But if they are easier to find than you, chances are your ideal audience will stop at your competition and stop looking. You want to be found in their Google searches. You get exposure. Once someone has liked your page, you can reach them through posting. 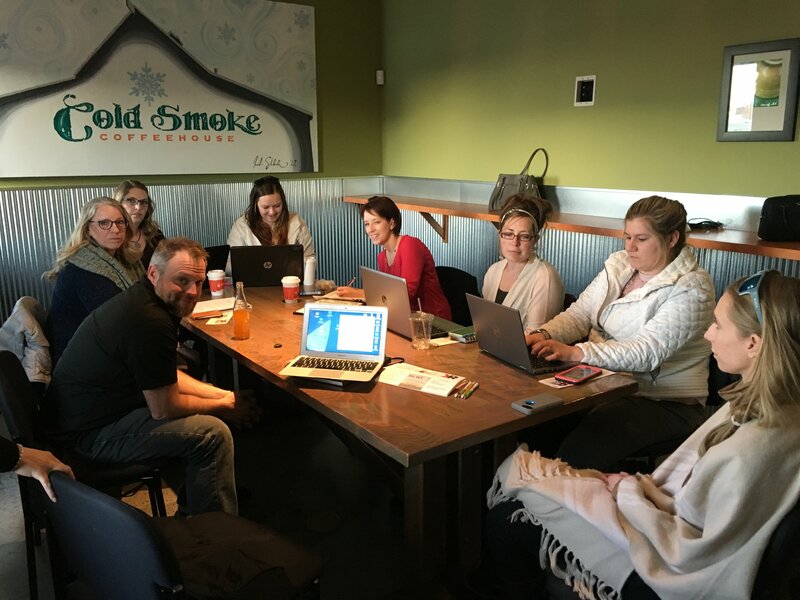 On February 15 we had our first KRose Marketing Round Table Coffee Talk at Cold Smoke Coffeehouse in Bozeman. It was a great opportunity for everyone who attended to grow their businesses and network. Thanks to everyone who came! Next we tackled Facebook Pixels: What They are and How to Use Them on the blog. Facebook Pixel is a free tracking code that you install on your website. It’s free, easy, and only takes five minutes. You can start gathering data for up to 180 days once you have it installed. Check out the blog for a step-by-step tutorial on how to install and use Facebook Pixel. After discussing pixels, we thought it would be a good time to discuss Why Facebook Ads Matter. In a world where advertising and limitless information constantly surround us, it’s not easy for a small business owner to stand out against the noise. But there is a way you can advertise and reach your ideal customer without wasting tons of money (hint – it’s Facebook ads.) Facebook Ads allow you to know exactly where your advertising dollars are going. We then talked about 7 Ways to Write Content that Leads to Engagement. Create Shareable Content: Compel your audience to share your content by focusing on what is relevant to them. The content should be designed in a way that if your followers share it, they will look impressive to their followers. Mix Up Content Types: Try to mix three videos – two live and one regular – into your schedule. Your visibility and engagement will naturally increase. Use Facebook Live Often: Find your voice through persistence and practice. Your ideal audience will grow to know, like, and trust you. Drive Traffic from Other Sources: If you are utilizing multiple social media platforms, you have the opportunity to drive traffic to your Facebook Page through these other mediums. Test out Different Posting Times: If you aren’t getting engagement, you might be posting at times your audience isn’t online. Test out different times of the day — including outside business hours. Track your stats to discover when are the best times to post. Repurpose Content: When you can learn to master this concept, content creation will become a much more tackleable task. This month we got serious about Live Trainings with two informative lessons on Knowing What to Post and When to Post it – Making the New Algorithm Changes Work for You & Time to Turn Facebook Likes into Paying Customers. The training videos will keep coming, so keep an eye on our Facebook Page. What’s in it for you? Facebook Business Page Tips Learn to make the new changes work for your Facebook Business page, how important it is to have one, and why you should stop using your personal page. Make It A Smooth Transition Worried the new algorithm will affect businesses who extensively utilize Facebook for outreach? Your worries will disappear with these tips. Answer Your Questions Live This is not a pre-recorded training. Join me LIVE so I can answer whatever questions come to your mind right then! If you’ve been following our content this month I hope you learned a lot and feel more comfortable with adapting to the new Facebook Algorithm changes. We will continue to keep you up to date on how to achieve engagement and cultivate community. You can check out some of our favorite tools we use behind the scenes daily to continue to grow and reach our community. In March we are going to go deep into Instagram. If you have concerns about how to market your business on Instagram, write them down. We will have another Q&A where you can receive real time answers to your most burning questions.